يشكل Naveria Heights Lodge بموقعه الممتاز في المدينة نقطة انطلاق جيدة لاستكشاف أفضل ما فيها من معالم ومناطق نابضة بالحياة. يمكن من هنا للضيوف الاستمتاع بسهولة الوصول إلى كل ما تقدمه هذه المدينة النابضة بالحياة. يوجد العديد من المعالم السياحية الأكثر جذبًا للسياح في هذه المنطقة. استمتع بالخدمات الراقية والضيافة التي لا مثيل لها بهذا الفندق في هذه المدينة رائعة الجمال. يقدم الفندق فرصة للاستمتاع بشريحة واسعة من الخدمات بما فيها: واي فاي مجاني في جميع الغرف, خدمة سيارات الأجرة, تسجيل وصول/خروج سريع, تخزين الأمتعة, واي فاي في المناطق العامة . في Naveria Heights Lodge غرف نوم يزيد عددها عن 4 صممت بذوق وعناية لتوفر لك كل وسائل الراحة . بعضها يحتوي أيضاً على رف للملابس, قهوة فورية مجانية, شاي مجاني, بياضات, مناشف. يقدم الفندق مجموعة واسعة من وسائل الراحة المتنوعة، كمثل: حمام سباحة خارجي, غوص, صيد السمك, سبا, تدليك. اكتشف مزيجاً ساحراً من الخدمة الاحترافية والخيارات الواسعة من وسائل الراحة والمتعة في Naveria Heights Lodge. WOW! What a place!!! Was looking forward to stay here, and it exceeded ALL of my expectations! This place is magic, the views, the atmosphere, the food, the outstanding service and the fantastic facilities! Sharon the owner is an amazing energetic woman whom is very including and takes you out on a beautiful journey at your stay, if at breakfast, or a stroll in the town centre or in the jungle, sharing her wisdom and stories. 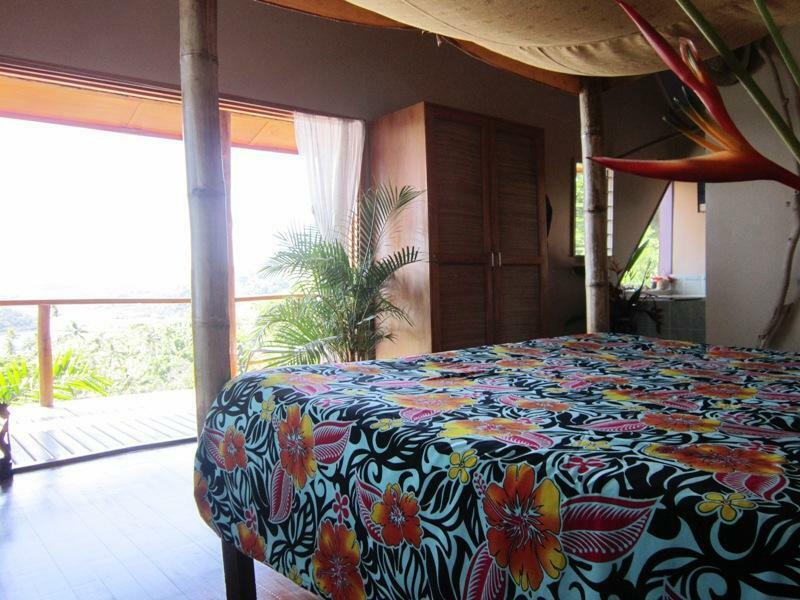 Staying in Naveria Heights is more then an overnight stay, this is an experience you will never forget! Can highly recommend to stay here, no need to think twice. Would recommend to go for a hike with Sharon in the jungle and check out what adventures she has on the agenda to join in. And don't miss out on the amazing massage you can get on your terrace by Virisine!! Be ready for the climb. no kidding...you don't have much choice. Either walk but if it has rained...good luck and better have your trekking shoes... of get a 4x4 taxi.. too bad there may be only 2 that can actually manage to pass the climb. it will cost about $10 to $20 for a 5min ride!!! once you reached the place.. the view from the balcony is amazing but that is about one of the only two good things about this place. The other one is the breakfast. Better not come back to the place after 7pm. You will find a place with all light off, ... dead !!!! you start whispering to your wife because you do want to disturb anyone... until you realize "what's the heck... a vacation should no be like this!!" We booked from oversea and were not sure about the value for money here... so we were careful about the expense and ended up booking the bamboo rooms.... what a mistake. It the broom room with no hot water and no light in the outdoor shower... we left after 2 nights. I can't say enough about how beautiful Naveria Heights lodge was and how wonderful the owner Sharon and her staff are. At first I thought that maybe the price was too steep for me - a solo traveller who would spend most of their time outside the villa diving anyway. But one night was not enough. It's so beautiful and peaceful that it makes you never want to leave. The steep hill up also makes it a bit tricky to come and go (I will rent a car next time I'm in Savusavu) but the views you are rewarded with are second to none. I stayed down the road at a cheaper location for a few nights before going to Naveria...what a let down. Naveria was much closer to town and the view and service was a thousand times better. The massage I had in my room was amazing - probably the best one I've ever had. The lady's name was Very and Sharon will help book her for you. Sharon was great and it was so nice to get taken care of from start to finish. I will go back to Savusavu because of Naveria Heights. This is a little gem of a place, perched fairly high on a hill, with the MOST astoundingly jaw-dropping views of the ocean. Took our breath away, quite literally! The moment we arrived, we felt at home. The beautifully decorated homey interior captures the vibe of the island perfectly. The small pool is proportionate to the capacity of the lodge. With only four rooms, we never felt like our space was invaded at any given time. Our Ocean View Suite was really idyllic and had all the essentials you can expect at a good standing hotel, save for a television (purely intentional). A healthy breakfast of a generous fruit bowl & freshly home baked bread served on the terrace, was a divine ritual! At the heart of this place, is the people. Everyone was so warm and made us feel really welcomed. Leba is the nicest lady you'll meet in Savusavu! Michael is the best guide ever! So informative, patient and full of energy - he's a SUPERSTAR! An overall TOP rated experience that's VERY hard to beat! Not for honeymooner. Considering that accommodation cost is Fiji is quite high, we ended booking a "cheap" room without really knowing it and turned out to be their broom cupboard with no hot water in their outdoor shower (don't book the bamboo room), and Sharon please don't rent this room out. The other rooms are nice though. The staff as well as Sharon (the owner) are very nice people. The view is amazing, that is for sure... and this place is a B&B but we did not know that when booking via Agoda. - The fact to climb a very steep walk (more than 30deg climb) in order to reach a place dead of life at 8pm with no light was not really what we were looking for. - the fact that you realise that you you have to whisper when talking to your wife as you feel the same inconfort as the one you would have when staying as someone's else house, This was not really honeymoon spirit. Both were the main reason why we preferred not to stay any longer and change location even if we lost the remaining two nights. Don't take me wrong here, we did not book the right location considering what we were looking for. My review is such mainly because of the advertisement around the place. Nice lodge but felt very much like someone's house and you where a guest in their house. Not for us, we wanted privacy as we where on our honeymoon. Breakfast was nice toast and musli but the best thing was the view - outstanding view. But you have to walk up a very steep hill for 20 mins to get up and down and if your not to fit or have any injuries be prepared to pay to be taken up it. We also felt that we were over charged to be taken to the airport. The staff where friendly and did cook a meal one evening - although we felt very uncomfortable as we did not want to eat In the lodge but look around the town - so we felt as though we offended her. The stay in Naveria Heights was outstanding. Very private atmosphere like staying at my best friends house including staff. 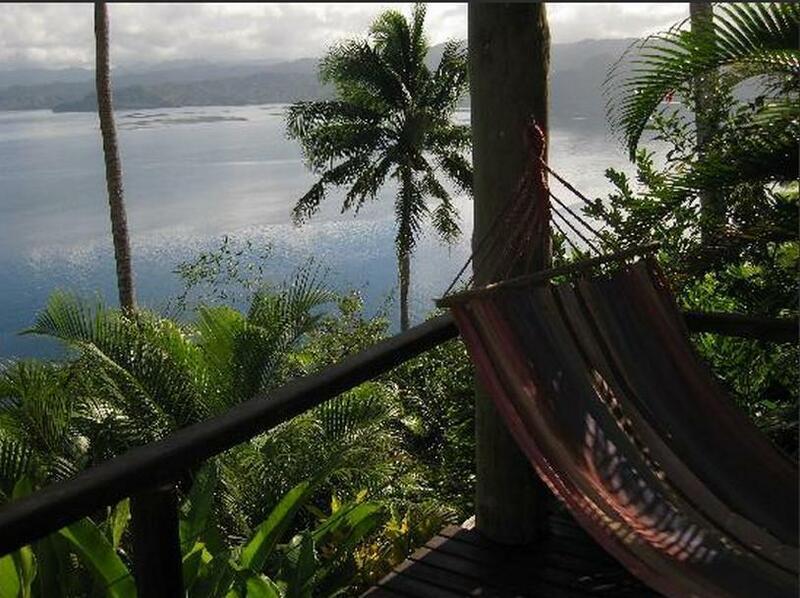 So a very Relaxing experience on the top of Savusavu. Adventureous to reach and still very close to walk to the yachtclub and marina or to the center of town. 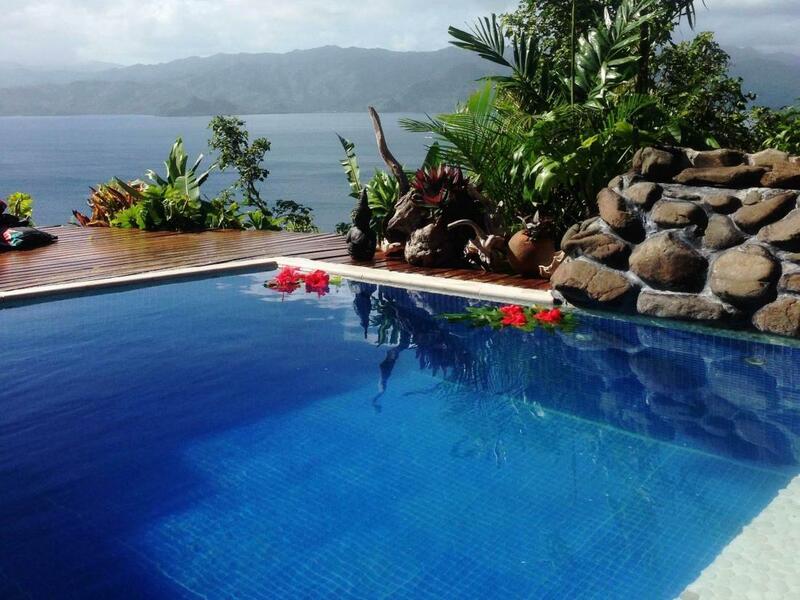 For me personally the best Location in Savusavu with a private touch. Sharon Wilds place is especially private and high class cause she has only three rooms to offer. 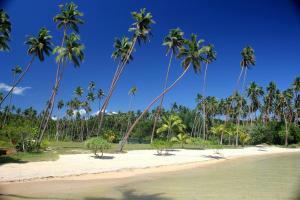 All with this outstanding view on the bay and beautifully designed in fijian style. our stay at the lodge was quite an experience. we had to sleep in early,it felt like we were a nuisance to the owner. Sarita was so welcoming. I felt instantly comfortable and relaxed. She makes the best breakfast in town and the best jack fruit curry :) The lodge was spotless and the room was comfortable and clean. I truely felt spoiled during my stay. i stayed 6 days total on both sides of a tony robbins event. it was absolutely amazing staying with such a warm and wonderful family. sharon is so much fun! everyday we would jump in her 4*4 and explore the island. everything from hikes, snorkeling, river tubing, hot springs... she knows all the spots and it like a personal tour guide to places i would have never found. sarita keeps the house and cooks the most amazing curry on the planet. i am from the us but travel abroad 3-4 times yearly for the past 10+ years and this is the best experience i have ever had. absolutely huge recommendation! The view of Suvasuva bay, the privacy, the exceptional host. This place we will return for sure. It has privacy, a great staff, and breakfast was homemade and exceptional. We really had a great time and were sad to have to leave.